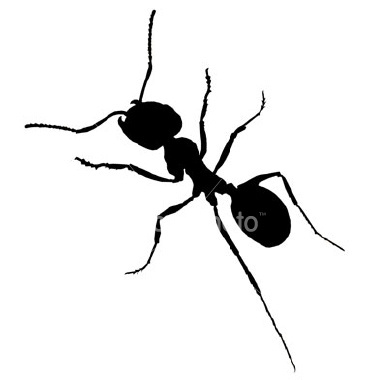 We have several kinds of ants in our yard and in the surrounding desert. My favorite (if you can have a favorite kind of ant) are the tiny, tiny black ants that have taken up residence in rocks protruding from dirt in the trail into Crossfire Canyon. This rockopolis is always busy with thin, tight lines of these itty-bitty ants flowing to and fro--I try to step carefully. I don't know if it's the scale or what but these lines and associated ant activity look far more organized than the larger ants' lines. Such small things seem so vulnerable, but obviously they've found some advantage in being that small. This colony has lived among those stones at least as long as I've been walking down there--about five years. Mid-sized red ants come to the hummingbird feeders. Bullock's orioles also come to the feeders, and it's entertaining to watch them fling ants off the cups with their beaks--they hate ants in their sugar water. Ants also harvest from the cat food we set outside. I think ants are a complicated bunch of critters. If I had more time, I'd find out as much as I could about them just to keep on top of things. It might interest you to know that my husband Mark has suffered a hemmoraghic stroke. He's up at the U of U Hospital, having been flown their from Monticello by one of the U of U's air ambulances. He's been in the Neuro Critical Care Unit since last Friday, though he might be moved to acute care today and maybe be home by Friday. Like you, he has an underlying condition that will likely give rise to his having more strokes. He has to go back to the U of U in two weeks for brain surgery to remove the hematoma that resulted from the bleed. Much about his current condition reminds me of yours following your strokes. If you're able to share some wisdom about how to prepare for his arrival home, I would like to hear it.